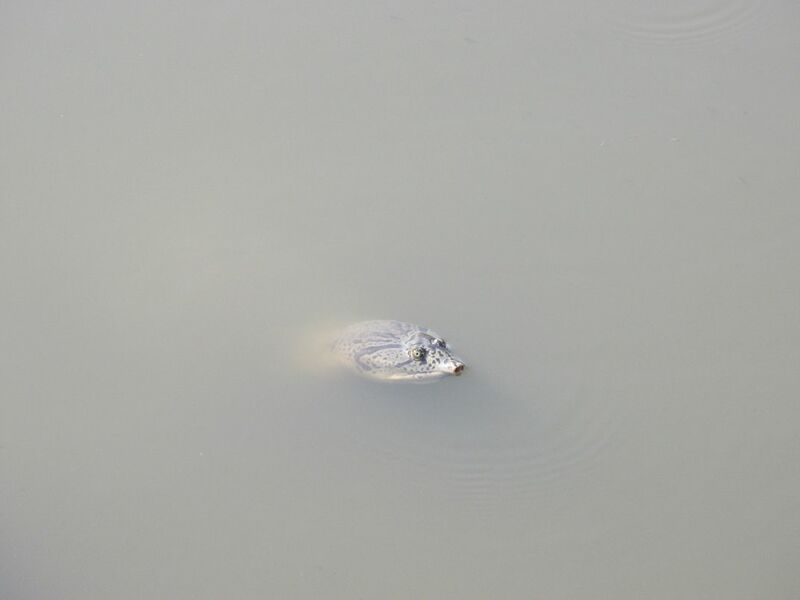 A spotted variety of soft shelled turtle popping its head from the waters of the western lake of the twin lakes of Jorpukhuri, in Uzanbazar locality of Guwahati, city. That lake a a large population of turtles both soft and hard shelled. Date Uploaded: April 26, 2016, 3:02 p.m.